Mizzou K-12 Online is unique. It is the only fully online high school that is within a nationally ranked College of Education, which is consistently ranked among the top education colleges in the U.S. The Mizzou K-12 Online school and the College of Education are on the beautiful MU Campus, and instruction is founded on cutting-edge research at this world-class university. Researchers and professionals who are contributing to the latest research in their fields of study are consulted for Mizzou K-12 Online course development. Frequently, MU Faculty take part in the authorship and teaching of the courses. Based on quality of teaching, research, and scholarship, MU is one of only 34 public U.S. universities — and one of only two institutions in Missouri — invited to membership in the prestigious Association of American Universities (AAU). 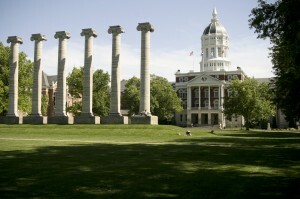 To learn more about MU, we invite you to explore the University’s Pride Points.